Going Gluten-Free Ain't Easy. It takes Vigilance. When we switch to a paleo diet and start cooking our food at home, we have much more control over food exposures, including gluten. But it's a tricky molecule that can trigger symptoms in very small doses, and it's present in some surprising places. Today's article is meant to educate and empower, not to scare anyone. First, I'll tell you why avoiding gluten is wise for anyone with autoimmune disease. Then, we'll cover the places gluten sometimes sneaks into our lives. Gluten increases intestinal permeability (also known as leaky gut). 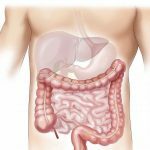 Leaky gut is a condition that always co-exists with autoimmune disease. It's one of the primary root causes. Gluten activates the immune system. With autoimmune disease, our immune system is already overactive. Any increased stimulation can increase the autoimmune attack within our bodies. Gluten increases inflammation. Inflammation drives chronic disease, worsening both symptoms and progression. Packaged Foods. Gluten comes by many names, so when reading ingredient labels, it's important to be aware of the complete list. Avoid all products containing wheat, wheatberries, atta, barley, dinkel, durum, einkorn, emmer, farina, farro, fu, graham, Kamut khorasan, malt, rye, seitan, semolina, spelt, triticale, beer, ale, lager, brewer's yeast, brown rice syrup (often made with barley enzymes), dextrin and starch (both of which can be derived from wheat), natural flavoring (can contain gluten), dry smoke flavoring (barley is sometimes used to capture the smoke), and oats (also called avena sative, oats are commonly cross-contaminated with gluten). You can find these ingredients in everything from herbal teas to sauces, because they add flavor, texture, and sweetness. For a handy reference while shopping, run ingredients through this app: Is That Gluten Free? Also look for the certified gluten-free label, because those foods have been independently lab-tested to contain less than 10ppm of gluten (which is even lower than the 20 ppm FDA standard considered safe for gluten-free labeling.) The reason the limit isn't 0ppm is two-fold – testing equipment isn't sensitive enough to determine 0ppm, and research shows that people with celiac disease can handle exposures this small without intestinal damage, which is why 20ppm is considered a safe standard worldwide. That said, when eating for health, minimizing packaged foods in general is the best choice. Kitchens. If your home isn't 100% gluten-free, it's very easy for cross-contamination to occur. That is when tiny amounts of gluten are left behind on shared counter space and equipment, getting added unseen to your food during preparation. 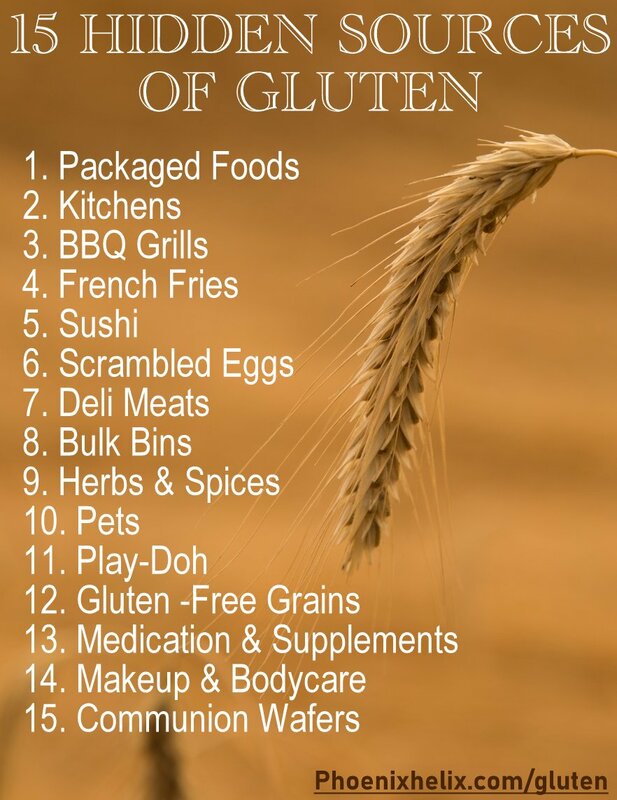 Here are some things you can do to prevent it: Place gluten-free items above gluten-containing items in the pantry and refrigerator, so gluten particles don't fall onto your gluten-free foods. Thoroughly clean all counters, dishes, pots, pans, microwaves, and utensils between uses, and have a dedicated gluten-free sponge and dish towel. Purchase a second, gluten-free toaster and can opener. Have a separate, dedicated, gluten-free cutting board (gluten can get trapped in the grooves of cut or scratched surfaces). Replace wooden spoons with stainless steel (gluten can get trapped in the pores of the wood). Have two sets of condiment jars to avoid “double dipping”. You can see why it's much easier if your household agrees to a 100% gluten-free kitchen! At a minimum, I suggest no gluten-containing flours in your kitchen. 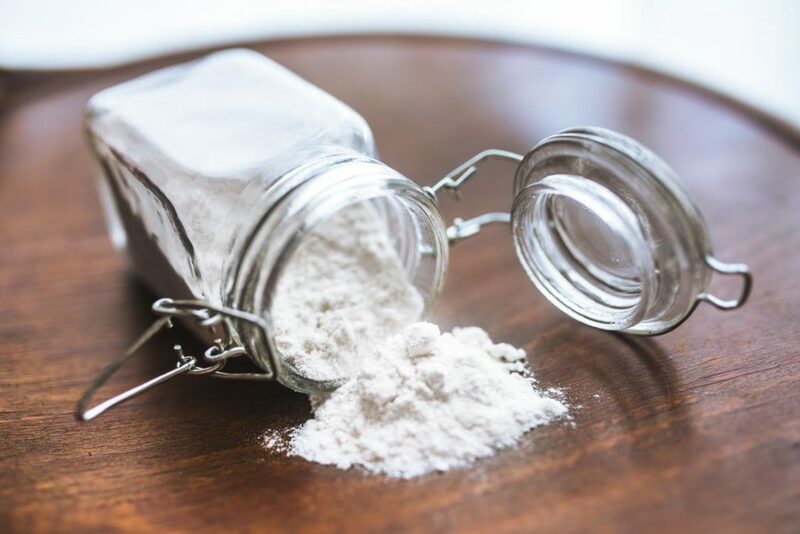 Flour particles stay airborne for hours after baking, are easy to inhale, and when they descend, can contaminate all surfaces, including sinks, towels, and dish racks. Cross-contamination is also common in restaurant kitchens. When eating in restaurants, choose ones with a gluten-free menu, and always ask what measures are taken to prevent cross-contamination in the kitchen. Resource: Gluten-Free Dining Tips. Unfortunately, some restaurants advertise gluten-free meals without knowing anything about cross-contamination measures. 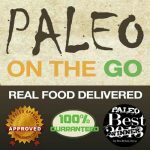 Here's a list of 100% Paleo Restaurants. Every restaurant on that list has a 100% gluten-free kitchen, which means there is no risk of cross-contamination. They're a rare breed, but they are slowly growing in number. BBQ Grills. Unlike pans that get washed between uses, grills are designed to simply be charred and brushed off. Unfortunately, that doesn't remove the gluten, so if the grill has ever been used to toast buns or grill meat that's been seasoned with gluten-containing ingredients, it's a contamination risk. There's an easy solution. Grill your food on a piece of aluminum foil. If you're concerned about aluminum exposure, you can line the foil with parchment paper, but don't try to put parchment paper directly on the grill. It will catch on fire! Weber also sells stainless steel grilling pans. If it's a multi-tiered grill, cook your food on the top tier. Regarding charcoal briquettes, starch is commonly used to hold the briquettes together, so there was a rumor circulating on the internet that the source of that starch might be wheat. Jennifer Fugo from Gluten Free School did some research, contacting a variety of charcoal companies, and none used wheat as an ingredient. Corn is the starch most commonly used. If you want to be on the safe side, use wood charcoal or a gas grill. French Fries and Other Deep Fried Foods. Very few restaurants have a dedicated gluten-free fryer. That means your french fries are being cooked alongside wheat-battered fried foods. Gluten from the batter transfers into the oil and cross-contaminates all food fried in that oil. In addition, some french fries are dipped in batter to make them crispier. When eating in a restaurant, always ask if they have a gluten-free fryer. Red Robin is one restaurant chain that has dedicated gluten-free fryers. Sushi (Rice, Crab, and Soy Sauce). Is Sushi one of your favorite foods to eat out? Ask questions before ordering. Wheat flour is often added to rice to make it sticky. The crab on the menu is usually imitation canned crab meat, and wheat is one of the ingredients. Lastly, most soy sauce contains wheat, unless it's Tamari, and it's often added to the meal ingredients, in addition to being served as a dipping sauce. Scrambled Eggs and Omelets. Believe it or not, when you order these in a restaurant, you're often getting more than just eggs. Some restaurants add a little pancake batter to make the eggs fluffier. Others used a boxed scrambled egg mix that has a number of additives, including starch that can be wheat-based. When ordering, confirm they are using fresh eggs with no hidden ingredients, and request a separate frying pan. Deli Meats. If you're buying deli meats in packages, you can read the label, but at the deli counter those labels are out of reach. Deli meats commonly contain sugar, spices, fillers and additives, and many of those ingredients can be wheat-based. The Naked line of meats at Whole Foods is the exception. It's just meat – nothing else. In addition, the equipment to cut deli meat is shared, making cross-contamination risk high, so always ask that the machine and cutting area be cleaned before preparing your order. Bulk Bins. Cross-contamination risk is especially high here, with scoops sometimes being shared between bins, gluten flours and grains stored above gluten-free items, and flour dust in the air. It's best to buy dry goods pre-packaged to minimize risk. Herbs and Spices. These don't contain gluten naturally, but both cross-contamination and food fraud are common, and wheat-based anti-caking agents are occasionally added to spices as well. The Canadian Food Inspection Agency conducted a study in 2013, and 24% of spice samples contained detectable levels of gluten. Most of these were below 20ppm, but one tested at 20,000ppm. To ensure that your herbs and spices are gluten-free, buy from certified gluten-free brands like Primal Palate. Grains That Are Naturally Gluten-Free. 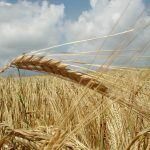 Oats are the worst offender, with 75% of conventional oats testing positive for gluten. However, cross-contamination can happen with other grains as well. Researchers collected 22 samples of naturally gluten-free grains, including white rice and flour, brown rice, corn meal, polenta, buckwheat and buckwheat flour, amaranth seed and flour, flax seed, millet grain and flour, sorghum flour, and soy flour. 32% of samples were found to contain gluten above 20ppm. Unfortunately, gluten contamination can happen anywhere from the field to the factory. If you decide to reintroduce gluten-free grains into your diet, the safest choice is to buy those that have been packaged and tested to be certified gluten-free. Medication and Supplements. Most supplements and medications contain fillers and flavors, both of which can contain gluten. Read ingredients carefully on supplement bottles and look for allergen statements guaranteeing that the product is gluten-free. One allergen-free brand is Klaire Labs. When it comes to medication, ask your pharmacist to check the list of ingredients for allergens and recommend alternatives if necessary. If there is no gluten-free alternative, many medicines can be made-to-order, without inflammatory ingredients, through a compounding pharmacy. However, be aware that most compounded medications aren't covered by insurance. Resource: Gluten-Free Drug List (updated and maintained by a pharmacist). Makeup and Personal Care Products. Gluten molecules are actually too big to be absorbed into the bloodstream through the skin, which is a relief. However, anything applied to the lips does get ingested, which means it's important to choose gluten-free lipsticks and lip balms. Similarly, choose gluten-free oral care products and ask your dentist to do the same. Some people also develop skin reactions to gluten, so if you're suffering any type of rash or skin condition, try switching to gluten-free body care products to see if that's a root cause. It's also possible to inhale gluten, so check hairspray ingredients carefully. Lastly, there are the unconscious habits of daily life. Do you ever put lotion on your hands before eating? Do you run your hands through your hair, and then unconsciously touch your lips when deep in thought? These are minute exposures, and sensitivity will vary. Switching to gluten-free products eliminates the risk. You can check the ingredients list on your current beauty products, just as you do the labels on food, and contact the individual companies with questions. Here are some of my favorite paleo skincare companies (not only gluten-free but also chemical-free): Araza Natural Beauty, Luminance Skincare, Annmarie Gianni, Primal Life Organics, and Buffalo Gal Grassfed Beauty. Pets. Overall, pets are beneficial to health, but there are two ways that gluten can transfer from pets to owners: (1) Not washing your hands after handling gluten-containing pet food. (2) Your pet licking your hands or face. The solution is simply to be aware of this factor and wash up accordingly. Or, you can switch your pet over to a gluten-free diet as well. Play-Doh. While play-doh isn't designed to be eaten, it's targeted to young children who put everything in their mouths, and it is made from wheat. If you have children on a gluten-free diet, this brand of gluten-free play dough is also free of soy, dairy, nuts and artificial fragrances. You can also make your own. Communion Wafers. The Catholic Church has banned the use of gluten-free communion wafers, and cross-contamination risk with the wine in the chalice is also high. However, they do allow low-gluten communion wafers which contain the equivalent of 37 mcg of gluten (100 ppm), a level that some people can tolerate, while others cannot. Regarding the wine, some churches are willing to offer a separate uncontaminated wine chalice upon request. Another option is spiritual communion – a special prayer in place of the physical sacrament. Protestant churches have no such ban and are often willing to offer gluten-free wafers, upon request. Envelopes. The glue in envelopes is derived from corn starch, not wheat. If you are also sensitive to corn, buy self-seal envelopes or use an envelope sealer. Teabags. When glue is used in a teabag, it's derived from plastic that won't dissolve in hot water. More often, teabags avoid adhesives and use crimped enclosures, thread, or staples. However, there are some herbal teas that add barley malt as a sweetener, so always check labels for gluten-containing ingredients. Some brands like Choice Organics are certified gluten-free. Personally, I've switched to loose leaf teas and given up the bags altogether. Blue Cheese. While it's true that the starter for blue cheese is often grown on wheat bread, the amount remaining in the cheese is less than the 1ppm, well below the 20ppm threshold of what's considered safe. How Careful Do We Really Need to Be? For celiac disease, minute exposures can trigger an autoimmune attack on the small intestine, so vigilance is especially important. That said, perfection is impossible. Use this information to make the best choices possible, while managing your stress at the same time. For people with non-celiac gluten sensitivity, tolerance may vary. While intentionally consuming gluten is unwise, you might have some wiggle room with accidental exposures. How can you tell? The first test is to simply listen to your body. 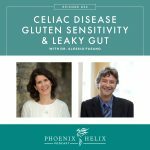 Are you still experiencing autoimmune symptoms while following the paleo autoimmune protocol, but now see that you may be getting exposed to gluten in unexpected places? If yes, adjust your life to remove these exposures and see if your symptoms improve. The next question is: Can you have hidden inflammation that doesn't manifest as clear symptoms? That's the tricky part. For some people, regular low exposures to gluten might keep their immune system stimulated at a low level. Dr. Tom O'Bryan recommends the Cyrex Array 5 lab test, to track hidden autoimmune activity in the body. One final note: it's so easy to get fearful and obsessed when faced with a list like this. This was an overwhelming article for me to write personally. I wish this wasn't so hard! All of us need to find that line between making healthy decisions and living a quality life. You can take this list in baby steps, addressing one area at a time. Health is a marathon, not a sprint.